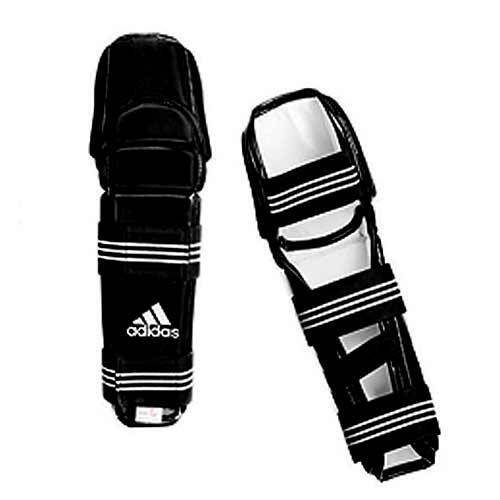 ADIDAS FOREARM & ELBOW PROTECTOR Covers both forearm and elbow. They are Foam padded with vinly covering. Each has 2 straps that holds the item secured to the forearm so that the item will not move during sparring. * Specially developed upon competitor's request to protect elbows during sparring. * Covers both forearm and elbow. * Foam padded with vinly covering. 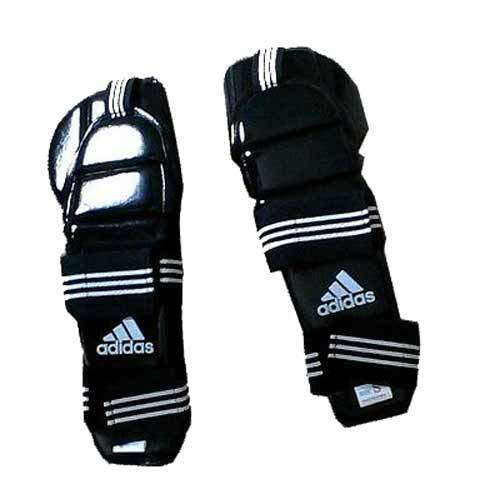 * Has 2 straps that holds the item secured to the forearm so that the item will not move during sparring. * Available in both black and white. * This item is WTF approved. Great... but small confusion 5 These were sized right on for what I wanted, minimal pinching at the inner elbow for me, I don't have bulky biceps. However, I have some confusion or concern about the legitimacy of being WTF approved. All of the other gear i have all has the "WTF" logo on the actual pads or at minimum, on the packaging. When I received these, i couldn't find a WTF logo anywhere. I have a tournament coming up in March and hope that these will pass gear inspection. 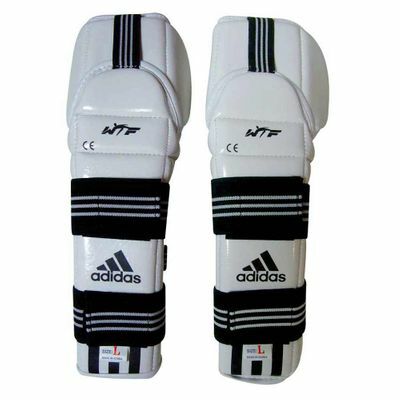 If not I will have some unusable pads and will be required to purchase and additional set.